She's not bossy, she just has good ideas. The know-it-all who really just means well, Lucy represents the spunky kid in every crowd. Petite Opera sat down with Rena Ahmed to see what it's like playing the strong-willed Lucy Van Pelt. Rena, tell us what roles have you performed in and around Chicago, and which groups you have worked with. I've played Eileen/When Angels Wept (New Lincoln Theatre), Frau Schreiman/Music in the Air (Music by the Lake), Middle Aged Woman/The People's Four Seasons (Quest Theatre Ensemble), Principessa/Suor Angelica (Emerald City Opera Institute). Some of my favorite roles include The Baker's Wife in Into the Woods, Agnes Gooch in Mame, Principessa in Suor Angelica, and Suzuki in Madama Butterfly. The most fun was Agnes Gooch. I loved her complete innocence and naivety. And I got to play a pregnant woman in hideously ugly glasses! 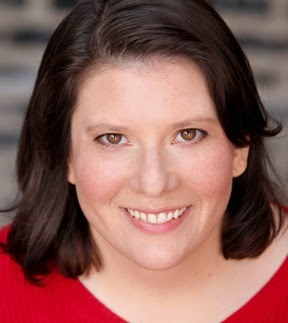 I am most proud of my recent work as Eileen in When Angels Wept. It's an original play about the fire at Our Lady of Angels church in Chicago. I was the mother of a child who died in the fire. It was my first straight acting role (no singing) and I had to connect to some very deep emotions. It was truly exhausting - especially on days when we had two performances. I also got the opportunity to try out my Irish accent and I had a very brief "mad scene". All in all it was a challenge, but very rewarding. I have started a new company in Chicago called Third Eye Theatre Ensemble. We will be performing The Medium by Menotti this fall. 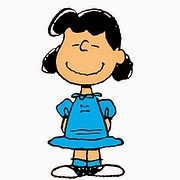 What fascinates you about the LUCY VAN PELT character in Snoopy? I think Lucy means well. She has a genuine desire to help others. We see this in her scene with washing Linus's blanket and in her scene with Charlie Brown where she is giving him advice on his personal philosophy. Sure, she is charging money for her advice, but she really wants to help. Unfortunately Lucy doesn't have the best people skills yet, and she often ends up being insulting. It's fascinating to see such a dichotomy. She wants to help, but often she ends up hurting instead. She also sees herself as the smartest person in the room even though she regularly misuses words, or makes inaccurate historical references. She really has no idea that she isn't quite as smart as she thinks she is. What do you think the other SNOOPY characters feel towards LUCY? I think the other characters look up to Lucy and consider her a leader. Even though she doesn't always have the right information, none of the other kids seem to know that. She exudes confidence, and they follow her lead. What is the most enlightening thing LUCY learns through the course of the show? Lucy is very hard on Charlie Brown - especially in her last scene with him. In the very last song of the show she watches the other kids rally around Charlie Brown and realizes that it is important we believe in each other, in spite of our faults. Lucy has a very dry wit, though I don't think she really knows it. Sometimes my wit is so dry, people don't know I'm making a joke! Lucy is also very competitive and wants to be the best at everything. I may have a small competitive streak in me…I play basketball against my husband who is 6'4". A few summers ago I played basketball with a group of 7 men and I was the only woman. Mind you, I'm not really that good. I just like to compete! And let's not forget that on the rare occasions when my husband and I disagree…I am always right. Of course! Fortunately, my husband is kind enough to let me believe that. What do you find most difficult about portraying LUCY? Lucy really can be quite mean. Her words are often hurtful. I don't think she often realizes how mean she can be. This has been challenging for me. Sometimes I say her lines and think - wow - that is really mean! Even though I can be sarcastic in real life, deep down I am not a mean person. I don't think Lucy is either. I just think she doesn't realize what she's saying. I think she speaks before she thinks a lot of the time. Have you ever seen Snoopy!!! The Musical before? Probably not. You'll be delighted with this show. It is fun for the whole family!